What would be the best way to deal with a small blowout like this? The whole tattoo is a tribal design so I can't really put anything around it. The tattoo is fresh by the way about 4 days old. can I laser that small portion off? I had really good artist btw, I think it was one of those things that just happened. 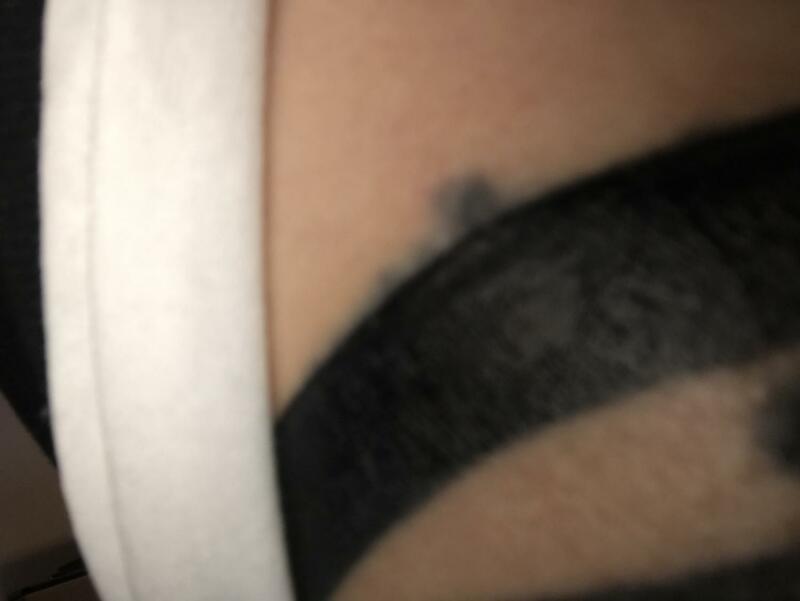 Also I was wondering, if it is possible to laser off, are lasers precise enough not to penetrate the actual tattoo? These things do happen; particularly on thin skin. There is nothing you can do about a blow out. You could try a laser, but personally I wouldn't worry about it. As far as being "precise" that depends on the operator - but worst case is you might have to do a touch-up (that hopefully doesn't have another blowout). will it fade over time if I just leave it alone? Just leave it. It happens sometimes.